YUMMRAJ has also been to this restaurant & has found it to be good & you can read YUMMRAJ’s comments at the end of Sayantan’s post. 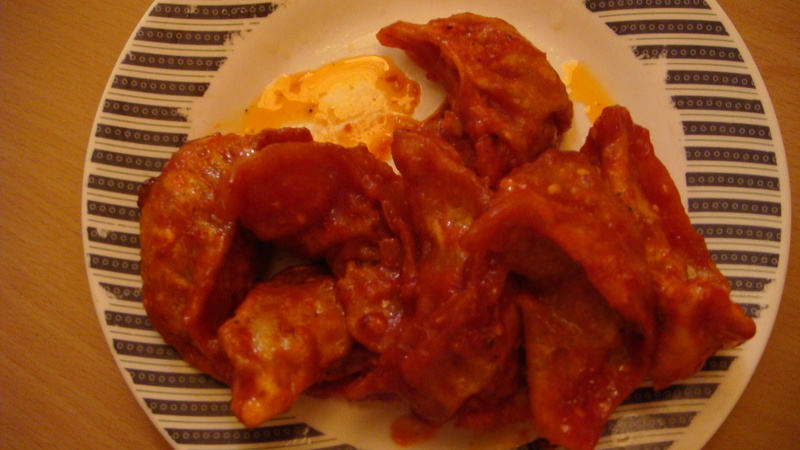 One of my previous blogs had discussed the growing popularity of Tibetan cuisine, primarily momos, in Kolkata. Easy to make, non-oily hence more healthy and affordable. These are some of the reasons, which have made momos popular in the city. Today I intend to write about a restaurant which I discovered as late as August 2011, even though I have been residing in Calcutta for more years than I care to remember. 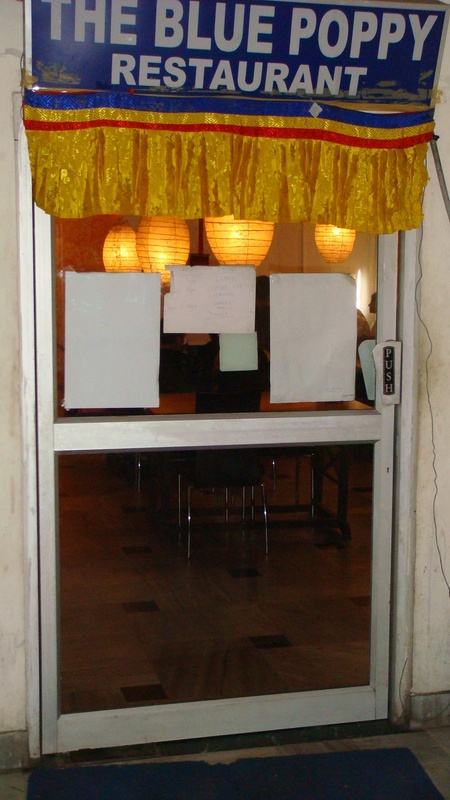 The Blue Poppy, is a non-fussy, basic sit-in joint serving Tibetan, Nepali, Bhutanese and Chinese cuisine at extremely affordable prices. For those familiar with Calcutta but not aware of the restaurant ( and to my surprise, there are so many of them), The Blue Poppy is located on the first floor of Sikkim House on Middleton Street. Its a small, approximately 40 seater joint, with basic amenities. The decor, though not expensive, is quite tastefully done. The lighting and the lamp shades used deserve special mention. The first thing that comes to notice is the warmth of the people. The 2 ladies who manage the show, are extremely cordial and ever smiling. They keep a moving around and exude informal warmth, which is very refreshing. They will also guide you if you are in the mood for trying out some of the non-regular food items. But, it’s the food which is the real show-stealer. 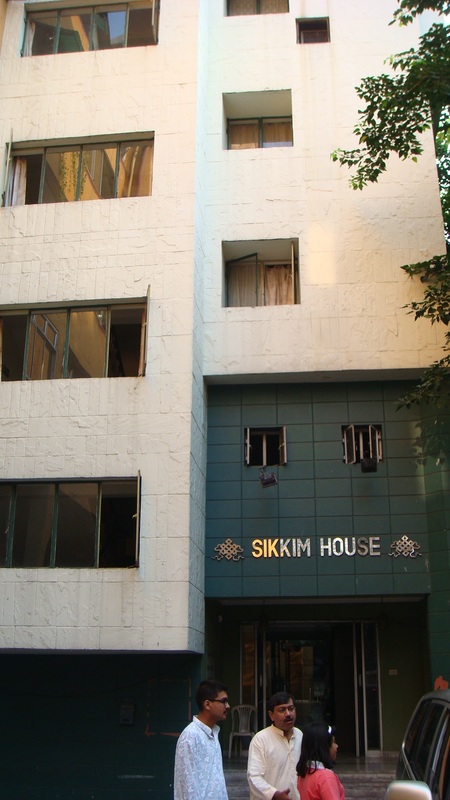 For those who have been frequenting the Tibetan food joints of Elgin Road, it’s a must visit place. For one, restaurants on Elgin Road have lost their way over the years, be it regarding the quality of food or the overall service quality. And, Blue Poppy is really a hands down winner in comparison, on both counts. I have been to the place many times and have stuck only to the Tibetan fare till now. Besides the steamed momos, you can also try the Kothay. 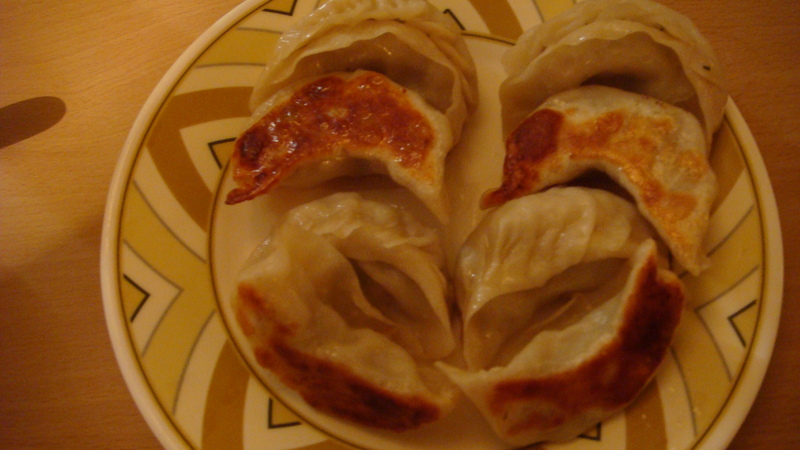 It is steamed momo, which has been fried on the pan. The pan fried momos are also very good and definitely worth a try. But, whatever you eat, don’t forget to try out the chilli sauce which my nephew and niece call the nani sauce…so hot that…nani yaad aa jayegi! One observation. The size of the momos seems to have reduced recently. But, my favourite dish is the mixed phaktu. It may be termed as the first cousin of the thukpa. There are 2 differences. 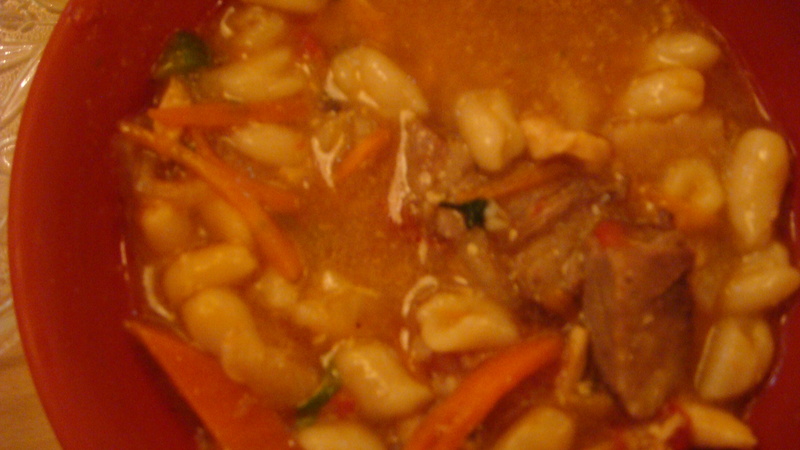 The broth or soup of the phaktu is much thicker and the noodles are hand-made. Hence, the shapes are different and nicely non-uniform. All in all, extremely deliciously and very filling. The Chinese fare served is quite ordinary, and I would not recommend it. My friend had tried out the Nepali thali, which has an assortment of vegetable curries and a chicken preparation. All these are served with rice. He was not too impressed, but I am quite curious to try out not just the Nepali thali but also the Bhutanese dish. Will update on those on a future date. The crux of a long story…must visit place for any Tibetan food lover. YUMMRAJ found this eatery to be good, a very good place to have an office lunch, An excellent less expensive place to have some really good food but ………………… something stops YUMMRAJ from calling this excellent – and that is Authenticity – Almost everything is Indianized – But , Yes they taste very good – If u r not bothered about authenticity,u wud love this. YUMMRAJ loved the Phaktu – hand made pasta kind of rounded noodles cooked like a thukpa – with veggies, meats & in a broth with sauces. Outstanding…………….. The hand made noodles were a marvel – they changed the textureof the food when in mouth & hence the taste. And pl pl share your feedback too! !